The Akshaya Patra Foundation is a non-profit organisation that operates on a public-private partnership (PPP) model. 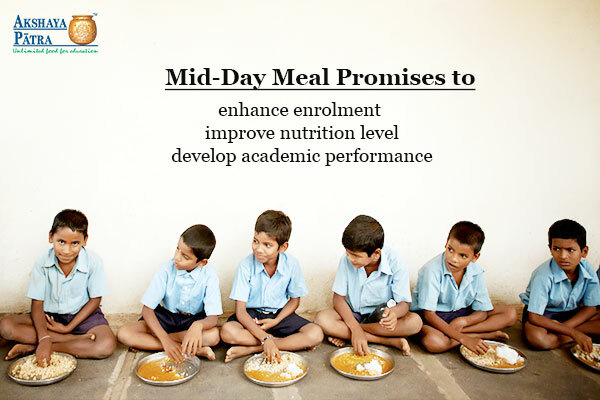 Since Akshaya Patra acts as an implementing partner of the Mid-Day Meal Scheme, there is a firm support from the Government of India, the State Governments and associated organisations. 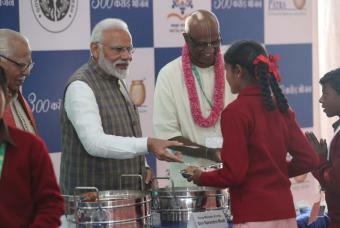 This has enabled Akshaya Patra’s school lunch programme to grow from feeding 1,500 children in the year 2000 to over 1.76 million children in 2019. On 11 February 2019, the organisation commemorated the serving of 3 billion meals (cumulative). While the Mid-Day Meal Programme, with an aim to end classroom hunger, has been reaching out to millions of school children every day with freshly-cooked nutritious meals, statistics show that children in India are in need of immediate attention. Akshaya Patra also depends on corporate funds, philanthropic donors, volunteers and well-wishers for managing this large operation. The details of the operation include technological innovations, quality standards, delivery vehicles and interacting with various stakeholders.